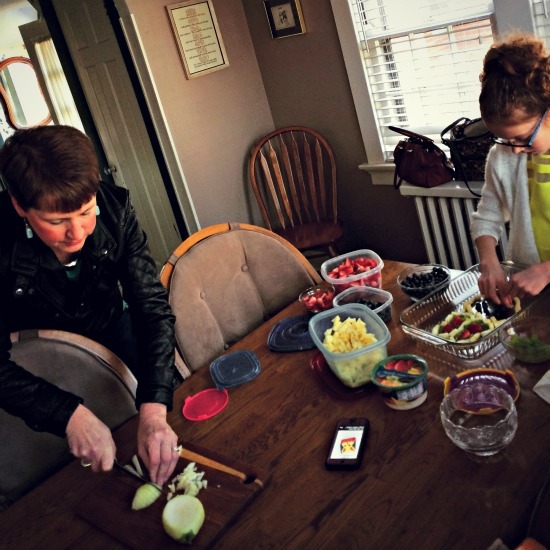 I love getting my kids involved in the kitchen, especially when it comes time for a party, then it’s even more helpful to have an extra set of hands on deck to help prepare foods. I also encourage my kids to be creative at all times, even in the kitchen. 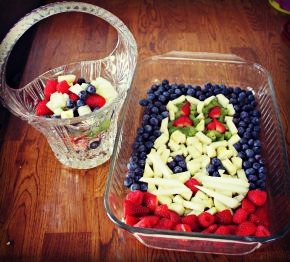 Ella and I found a really cool recipe for a Bunny Head Fresh Fruit Platter on the blog called “Worth Pinning” last year and decided that it MUST be made for our family Easter party. Ella worked so hard to cut up the fruit, and my Aunt Patti (who also loves to cook) helped Ella finish up the last minute chopping. Ella made an adorable Easter Bunny Fruit Salad and then she put the extra fruit into a cut glass basket that my mother had. Everyone at the party ooohed and ahhhed over her creation. She now has her own Pinterest account so who knows what she will come up with this year for Easter! 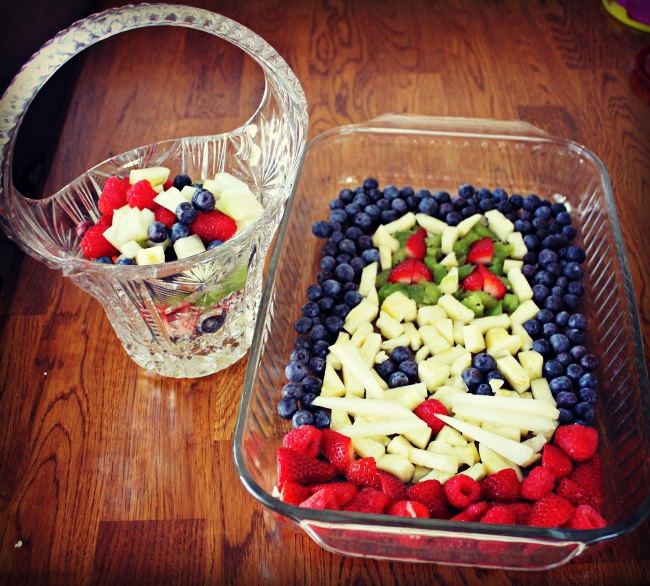 Be sure to visit the Worth Pinning Blog to get all the details on how to create your own Bunny Head Fruit Platter! 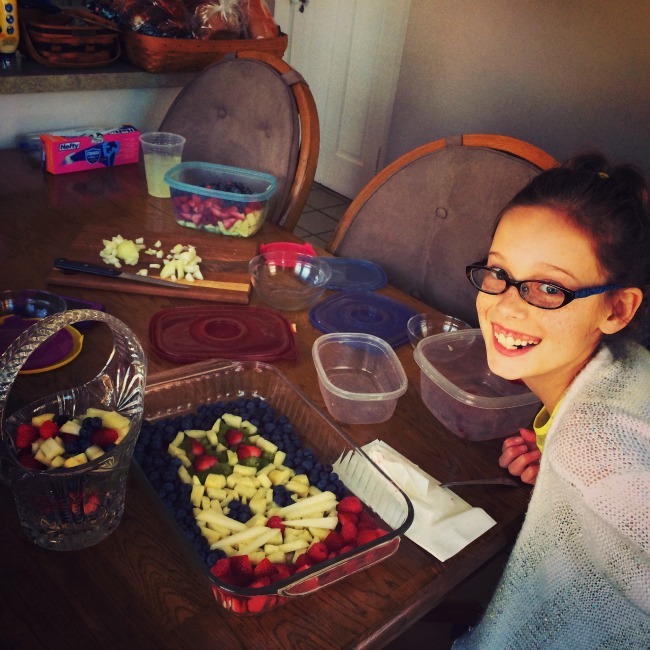 And if you have any fun ideas for kids to create cool food for parties leave me a comment below. Too cute! 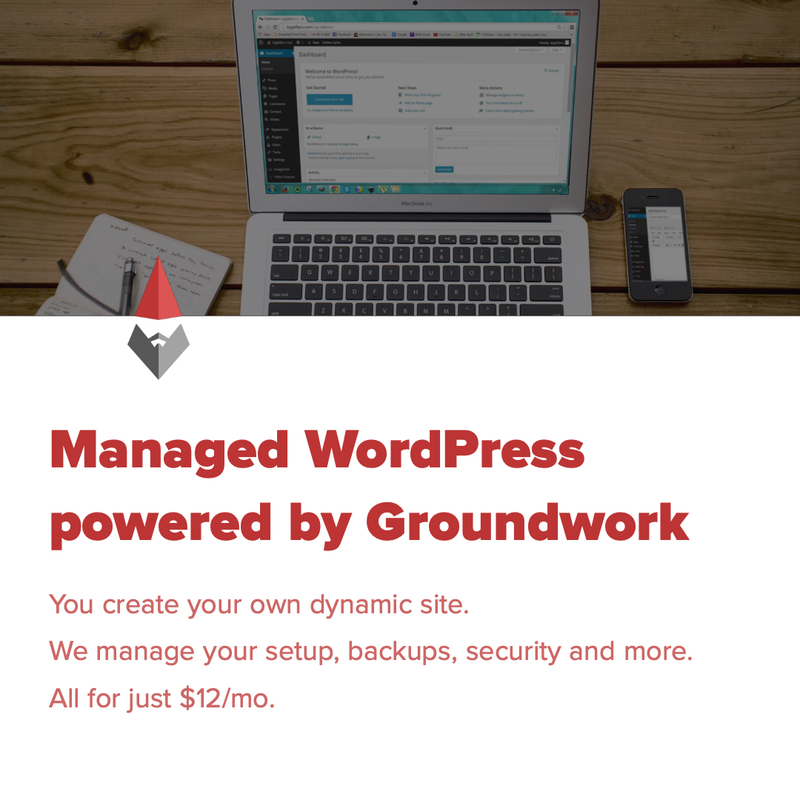 Thanks for blogging on this. I think Maggie would love to make it.